If you have not noticed yet one of the major reason for this spontaneous purchase is the breathtaking packaging. 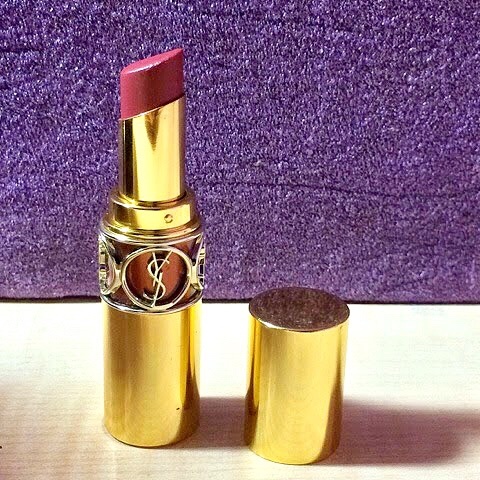 The elegant golden metal body with the YSL logo carved in the center is marvelous The color of the strip behind the logo in the center denotes the shade of the lipstick in it making it easy for the person. I personally know a few people who wanted to own these babies just looking at the packaging. Claims: Introducing Rouge Volupté Shine. Give in to the temptation of dazzling color. Succumb to a unique sensorial experience with extreme comfort and luminous shine. Hyaluronic acid microspheres help seal in moisture for 8 hours of hydration. 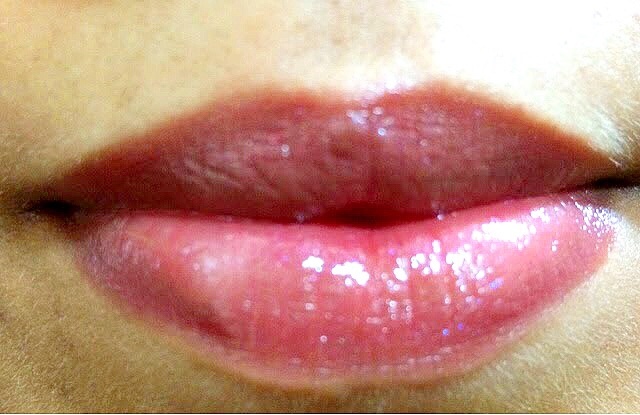 Anti-oxidants and emollients help condition and soften lips. An innovative and comforting lipstick enhanced with fruit extracts rich in vitamins and antioxidants that leave lips visibly softer and smoother with up to eight hours of hydration. 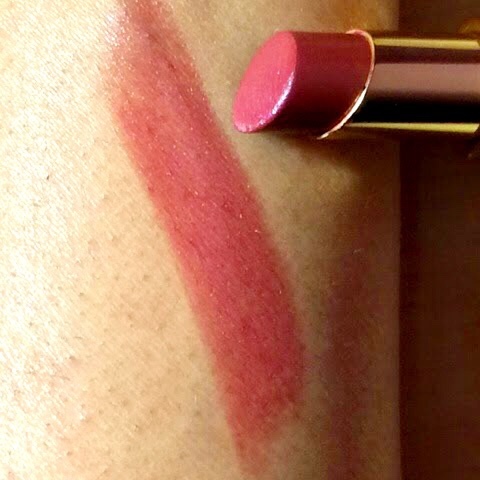 Results: Besides the packaging being the most attractive feature about it, the lipstick is very sheer in nature. It has tiny shimmery particles in it which are noticeable only when looked carefully but overall gives a luminous look to your lips. It has a buttery texture and slides on smoothly. 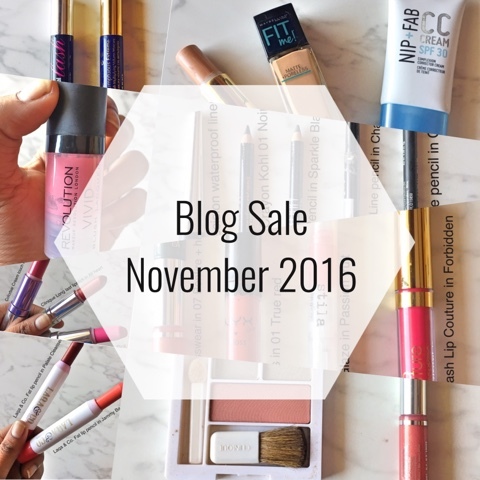 Even in the most chilly climate you will not have to worry about moisturizing your lips before applying lipstick, since it is very hydrating in itself. The colors are all gorgeous but wish more were available at the counters. 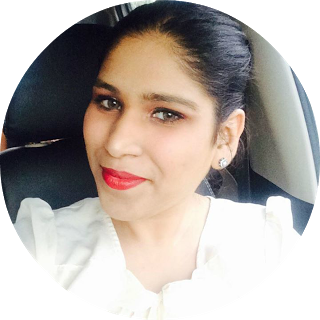 Your NYE look would be best suited without this lipstick as it has a sheer, plum and luminous effect. Excluding this it has just one negative quality that I am willing to overlook, seeing how pretty it is. 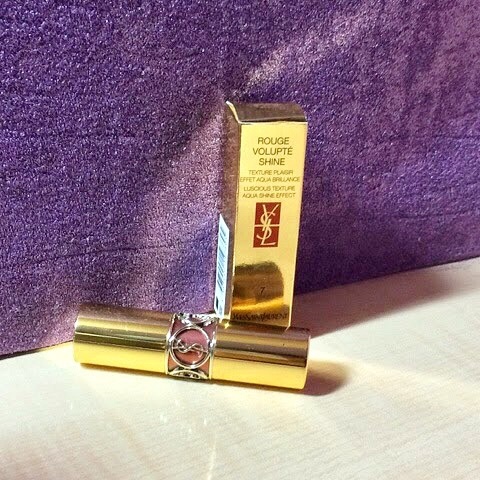 The lasting power of this lipstick claims to be 8 hours but since it is a sheer shade it is transferable onto surfaces and lasts for 3-4 hours at the most. It is necessary to reapply this to make it last through the evening. Honestly, I would have got this lipstick anyway but the color, moisturizing power, sheer shine effect is a plus point and at the cost of some reapplication it should be fine. This lipstick can definately be counted as a collectors item. Party HARD and stay SAFE. 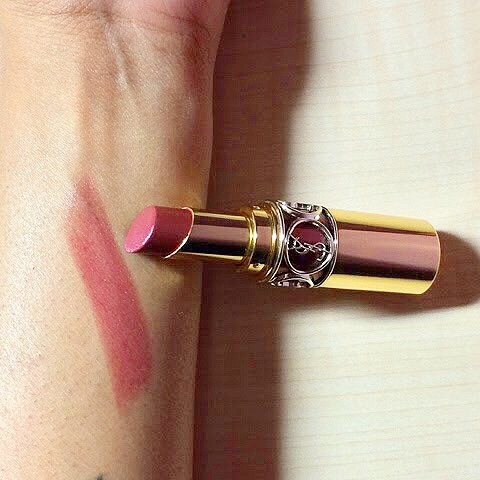 That lipstick looks so pretty, and the packaging is gorgeous!